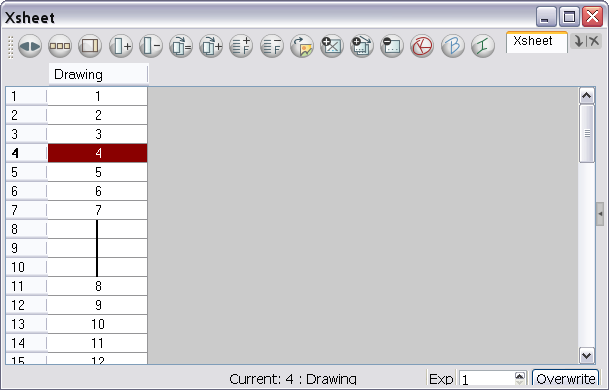 The Xsheet view has three sections. By default, only the main section is visible. It displays the drawing layers, also known as drawing columns. Refer to Sharing Functions to learn about the unconnected functions. 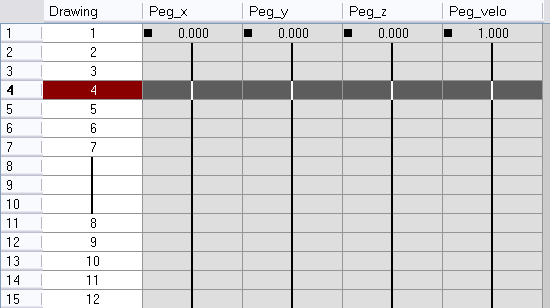 Refer to the topic Showing and Hiding Columns to learn how to temporarily hide unconnected functions from the main section.